New Kontakt Player is a FREE download. Get it! Well, native instruments just keeps giving us musicians something to love. Another addition to their high quality instruments, free for use, is the new kontakt player. It’s similar to the kore player, it’s expandable via native instruments as well as third-party kontakt libraries. That means it can play all “powered by kontakt” libraries. You can buy any of the various available libraries from the hundreds of sound design companies that support the “powered by kontakt” format….or you can buy your sounds direct from native instruments. Heck you can do both! But…what if you’re like many “struggling” musicians? Fear not! Native Instruments is providing you with some high quality instruments to get you started. They call it the Kontakt Facotry selection and it gives you selected sounds from the full kontakt 3.5 library. A collection of 50 instruments, 650 mb of high quality content. Again…it’s free! I don’t know about you, but this is great news to me! 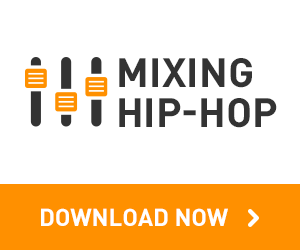 It means you don’t have to settle for low quality free vsts and samplers anymore! With this, and the kore player, you have a very professional sound setup for no cost what so ever! And when you’re ready to expand, you can do so via native instruments website or your favorite sound libray dealer. The kontakt player doesn’t offer all of the capabilities of the full version of kontakt 3.5, but it offers enough to be a very serious instrument. If you aren’t doing tons of sample editing and things of this nature, I don’t see why you couldn’t just use the kontakt player, and update your library as you see the need. And just in case you want to know whatup with the full version, you get a demo included that runs for 30 minutes. So, it’s a player, not a full sampler. No instrument editor, no wave editor, and it can’t play all third party kontakt libraries, only “powered by kontakt” instrument libraries, of which there are tons. Many sample cds come exclusively in “powered by kontakt” format. bottom line is this…you should go download it, it’s free, and gives you the quality of kontakt in your sound instantly. Can you provide some links where I can find “powered by kontakt” instrument libraries? you want “powered by kontakt” and not just kontakt format, they aren’t the same. Kontakt format only works in the full version, whereas “powered by kontakt” works in both the full version and the free player. I had a version of kontakt Player in previous versions of Sibelius. Now I own the latest update of Sibelius 7, and am interested in whatever libraries etc. can be used FROM WITHIN SIBELIUS 7, with instructions. If this is something you can address, please reply. Since getting s-layer I planned on taking a break from drum kits and you go and show this. So much for rehab lol. In about 11 days I’m going to drop the entire Producers Choice Bundle for free!!!! Send me your email address and I will forward the link!! Peace! !